Free Cable TV: True vision (Platinum: WB FOX CNN BBC TVB). Key Card for entrance into the building and Digital Door Lock, CCTV and 24 Hrs Security Guards. New 2 Bedrooms apartment, 2 Bathrooms, fully furnished. Located next to MAYA Lifestyle Shopping Center, walking distance from Nimmana Haeminda Road, the most visited area by tourists. The Condo boasts a highly desirable location within easy walking distance of the new Maya Shopping Mall, with easy access to the ever-popular Nimman Road area with its wide variety of bars and restaurants. 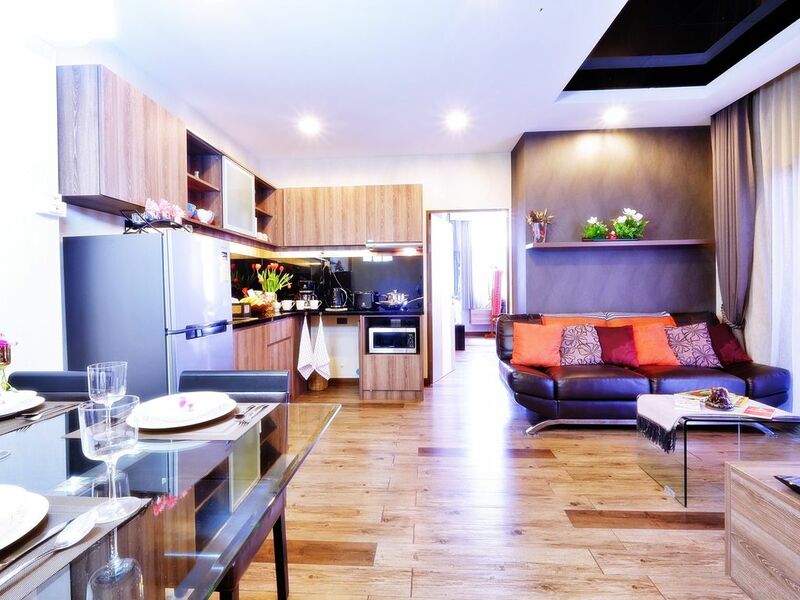 The location also means that Condo is within easy driving distance of The old city, Chiang Mai University. Being located just off one of Chiang Mai's main ring roads means that it is also very easy to access all other important parts of the city, including the city centre and Chiang Mai International Airport. # Entire home/apt.Size 80 SqM. # 2 Bathrooms with Hot Tub, Rain Shower cabin, All with Hot water, Essentials, Shampoo, Hair Dryer, Hanger. # Living room, Dining table, Modern Kitchen with hot water, with air conditioning and real sofa. # Refrigerator, Microwave, Toast, Water Cooker, Dishes, Kitchen ware. # TV and Cable TV: True vision (Platinum: WB FOX CNN BBC) Wireless Internet, Laptop Friendly. # Pool, Gym, Elevator in Building, Wheelchair Accessible. # Free Parking on Premises. # A big choice of Thai and Western restaurants. # Close to shopping centers and typical Thai shops. # "Tuk Tuk" and "Red Bus" (local taxi) service 100 meter from the condo. # If you need car with driver to drive around, cost of 1,000 Baht / 1 day not include Gasoline. Cash only. # If you need car (VAN) with driver to drive far from city as Chiang Rai, Mae Hong Son, Pai, cost of 1,800 Baht / 1 day not include Gasoline. Cash only. Bath tub, rain shower cabin and sink all with hot water, essentials, hair dryer, tissue, Towels. Air-condition, big flatscreen TV, dining table, modern kitchen with hot water, refrigerator, microwave, water cooker, toaster, and kitchen ware. Balcony: are with washing machine and clothes rack.